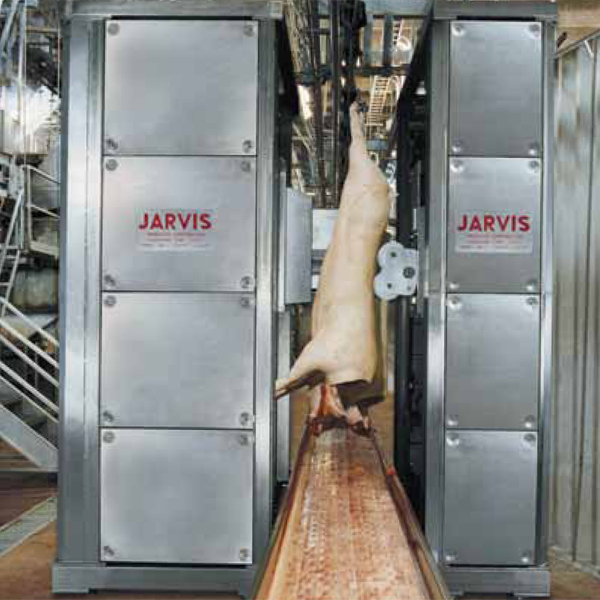 • Latest technology in automatic hog splitting, capable of 650 head per hour. • Clean splits with minimum sawdust. • Higher amounts of specialty products. • Easier spinal cord removal. • More bones for meat recovery systems. • Adapts to any type of slaughter linegambrels, trolleys, with or without a conveyor. • Easy to clean and maintain stainless steel construction.